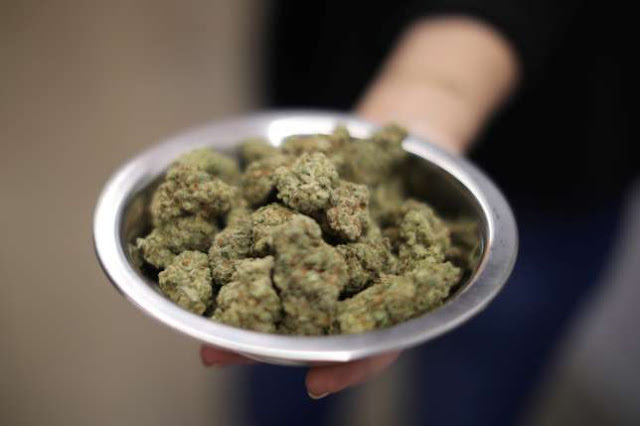 A 14-yr-old female student has reportedly been arrested for selling marijuana in school. The Grade 9 student at a high school in Verulam, was arrested by officials of Reaction Unit, South Africa, after being caught with 24 wraps of marijuana on Friday morning, February 23. Instablog9ja reports that the officers received information that the suspect was in possession of narcotics with the intention of selling them to other pupils during their lunch break. According to the reports, the suspect reportedly confessed that the marijuana had been given to her by her 17-year-old sister who is a grade 11 student at the same school. She also added that due to her sister’s absence from school on the day of her arrest, she was asked to hand it over to another student who was meant to approach her during the lunch break and assist her in selling the drugs to other students at R5.00 each. The course of action taken by the officers remains on clear but the fact is that there has been a significant rise in drug usage amongst African youths and teenagers in the last two years. In May 2017, a Twitter user @Olubaba60 detailed how he nearly died from an overdose on Tramadol and codeine. He also frequently used Refnol. His story is just another story of thousands of young Nigerians who are into these dangerous drugs. In November 2016, Eromo Egbejule published a story titled "Is there a growing drug epidemic in Nigeria?". In his article, he states that there is a serious drug culture in Northern Nigerian ranging from cocaine, codeine to sniffing fermented human waste known as Jenkem which produces hallucinatory effects. In March 2016, the Nigerian Drug Law Enforcement Agency discovered a super laboratory for the illicit production of methamphetamine located at Asaba, Delta. The laboratory had the capacity of producing between 3,000kg and 4,000kg of methamphetamine per production cycle. In the 80s and the 90s, Nigeria was mostly a trafficking point for narcotics from South American cartels who wanted to smuggle drugs to Europe. Nigeria's security system was poor which made it ideal to move drugs. The situation has grown worse. Nigeria is still a trafficking point but now we have turned into a country who produces and consumes these drugs. Cartels in South America produce meth in Nigeria because of cheap labour and poor security network. Nigerians don't just move cocaine anymore, they now consume it. The expensive nature of the drug makes sure its clientele is mostly the rich and wealthy. While cocaine isn't accessible to the middle class, drugs such as codeine, Refnol and Tramadol are. They are easily accessible on the streets of Lagos despite the best efforts of the government. The Federal Government is still using kid gloves to deal with drug abuse.